If you’re behind on your house payments, you need to know about your foreclosure options. If you’re behind on your house payments, you need to know about your foreclosure options. Missing three or more mortgage payments will trigger your lender to issue a Notice of Default, or NOD, informing you of their intent to foreclose. The NOD will tell give you a date to bring the loan current before they proceed to foreclose. Receiving a NOD is frightening. But you have options right up until the time the bank actually forecloses on your home. Know your foreclosure options before the bank takes steps to take your home. Gather up all the records related to your home. Make a file and put your original loan documents in it. Also include information about escrow accounts, your monthly mortgage statements, your payment records, property tax information, and insurance. You should also include any correspondence between you and your lender such as letters the bank has sent you or letters you’ve sent them. After you’ve organized your mortgage documents, you should now sit down and actually read through everything. You may or may not remember it, but that mountain of paperwork you signed when you closed on your home tells you what action your lender will take if you default on your mortgage payments. 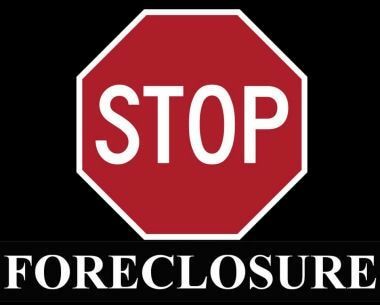 In most cases, federal law prevents lenders from starting foreclosure until the homeowner is 120 days late with mortgage payments. Study your loan and mortgage information and take notes. Write down when the bank can start foreclosure, whether you can reinstate the loan by catching up on the late payments, and what fees the bank will charge for any delinquencies. It’s time to get real. Set aside any wishful thinking and focus on the facts. Gather your financial information. Pull all your income or asset information, like paystubs, banking/savings statements, investment information such as annuities and retirement fund statements, and any additional documentation of income. Next, pull your monthly expense information. Make a list of all monthly income and expenses and determine where you are financially. Review your spending habits. Try to make a realistic budget that you can follow until your financial circumstances improve. Note what you can cut out of your monthly expenses to save money for now. You’ll want to make meaningful and realistic cuts to your expenses. Consider things like eating lunch out every day or stopping for coffee on your way to work. Do you really need the big cable TV package? What about the gym membership and other subscriptions? Consider all your income and expenses and what you can save by trimming down expenses and if and how you can improve your income. Loan Modification. A loan modification permanently changes the structure of your loan. Examples include extending your loan term, giving you more time to pay off the mortgage. This can reduce your monthly payment and also allow you to catch up on past due payments and late fees by adding those charges into your loan balance. Depending on your current interest rate, a loan modification can dramatically reduce your monthly payment if the bank offers a better rate. Forbearance. A forbearance agreement temporarily suspends your mortgage payments for a set period of time. This may give you time to catch up on your expenses and at the end of the forbearance period, you can bring your loan current by paying the missed payments and fees or you may modify the loan permanently. Refinancing. If you’re not yet behind on your mortgage and you’re managing to pay your monthly bills, you may want to consider refinancing your loan. This option works well for homeowners who know they are struggling but have not yet defaulted on any loan obligations. This allows you to qualify for the best interest rates, and a lower rate can substantially reduce you monthly mortgage payment. If you’re motivated to keep your home, there are many foreclosure options available to you. We’ve only touched on a couple in this article, but you can research many other options that may be available to you. Reaching out to your bank as soon as you realize that you are in financial trouble. Your lender has many ways to help you, and they are just as motivated as you are to keep you in your home. Learn about your rights. Contact your lender. Your home is yours if you reach out for help.